1903 Union Pacific Steam Engine 535 was moved on Feb. 7, 2011 from LaBonte Park to Railroad Heritage Park in Laramie, Wyoming. 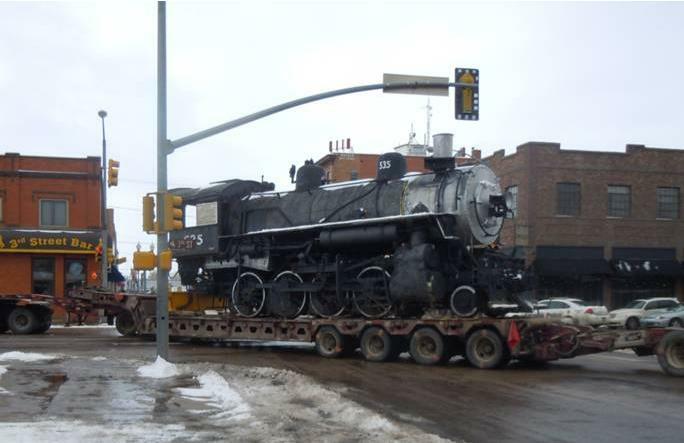 Crews loaded the 75-ton engine onto a flatbed trailer for its trip across town to its new home. The steam engine, UP wedge snowplow 900015, and UP caboose 25232 - the 1950s replica snow train - are on display at Railroad Heritage Park. This Laramie railroad history event and project were made possible by the Laramie Railroad Depot Association and the City of Laramie. Union Pacific 2-8-0 535 - power for the train. Presently in LaBonte Park, Laramie. UP 535 in Laramie, 1950s. 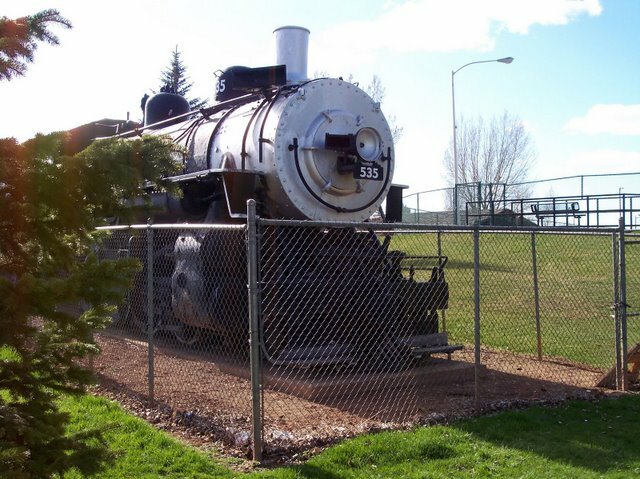 Photo of a train very similar to the one at Railroad Heritage Park. 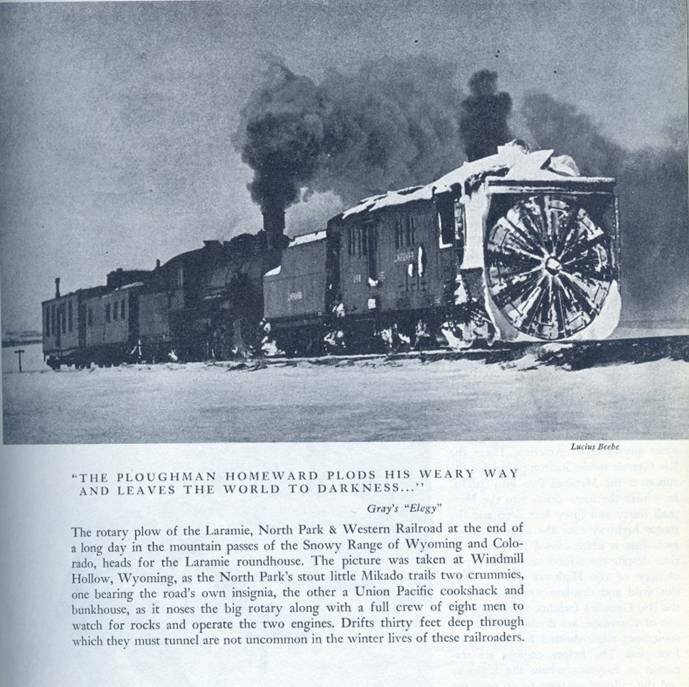 The photo appears on page 159 of Lucius Beebe’s Highball: A Pageant of Trains, Bonanaza Books, Crown Publishers, Inc., New York, 1945. The undated photo was taken about 20 miles west of Laramie on the way to Centennial.